This weekend, we had one of the most special chocolate tours I have ever had the privilege of being involved with and leading, our Boston Strong Back Bay Chocolate Tour, to benefit the One Fund. Eighteen lovely faces joined us on what ended up being a gorgeous day to get a lot of chocolate for a good cause. As a writer, it’s important to realize that often the best perspective is not your own. One of our guests wrote a beautiful blog post about it, and took lots of wonderful photos that really capture the essence of this amazing experience. 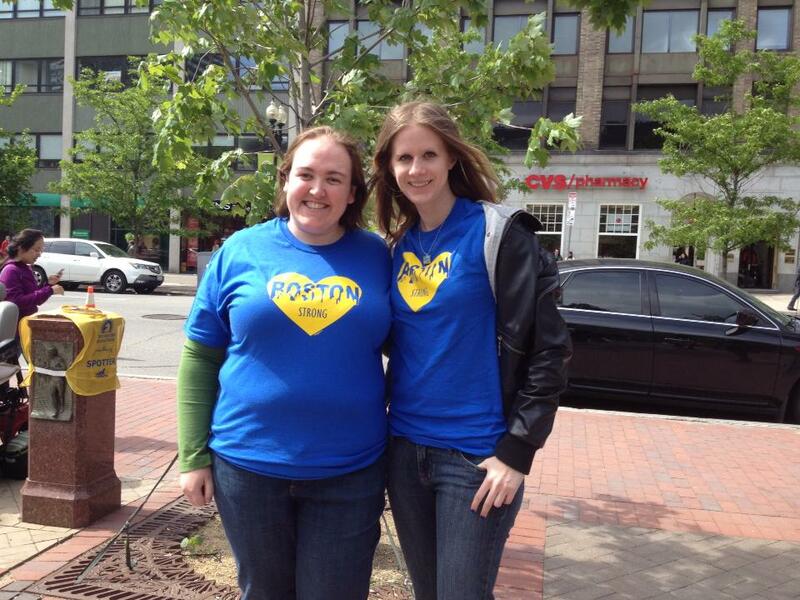 On April 15th, 2013, something terrible happened on Boylston Street. But on that day, and many days before, and since, and into the future, many wonderful things have also happened at that finish line. In the 11 years I have been in Boston on Marathon Monday, I have witnessed the amazing spirit that comes from the people who cheer for those runners. They don’t care where you come from, what religion you are, what language you speak, what you look like, they just want to cheer you on so that you know you are supported in your pursuit. As long as we can all continue to do that– as long as we can all continue to stick together, I think we’ll be alright. To those that were able to join us, from everyone at Boston Chocolate Tours and behalf of our beautiful city, thank you.